« What is it like to be a Certified Nursing Assistant? 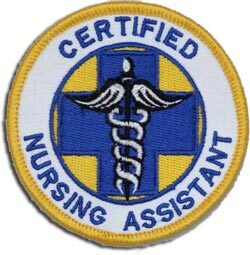 Before receiving a G.E.D that would enable you to attend a training course for becoming a Certified Nursing Assistant, you need to obtain a high school diploma. When you are hunting for courses its important that you pick one that is completely accredited that comes with a syllabus and teaching system that fully prepares you for a CAN certification test. The course could last from 3 to 12 weeks. This depends upon how many hours per week you train and how many hours in total are essential for completing the course. The minimum number of hours required to complete the course is 75 hours and 20 hours among that has to be done in a clinical setting. This being said, it’s not unusual for courses to take about 120 hours to complete. This entry was posted on Sunday, February 12th, 2012 at 7:27 pm	and is filed under CNA Information. You can follow any responses to this entry through the RSS 2.0 feed. You can leave a response, or trackback from your own site.